Windows Azure was the topic du jour this morning at day two of Microsoft Build 2012 in Redmond, Wash., as Microsoft announced a batch of new services and functionality for its cloud platform, including the extension of Windows Azure Mobile Services to include support for Windows Phone 8, in addition to Windows 8. On top of that, Microsoft announced broader language support for Azure, a new Windows Azure Store, and the availability of Visual Studio Team Foundation Service. Keynoter Satya Nadella, president of Microsoft’s server and tools business, also used his stage time to reiterate one of Build’s underlying themes: That Microsoft is going to great lengths to tightly intertwine Windows 8, Windows Phone 8, and Windows Azure in the spirit of making it easier for developers to build multiplatform, cloud-friendly apps with minimal code that can run on all Windows form factors, including PC, laptop, tablet, and smartphone. Among Windows Azure’s function is to serve as the backend engine that makes it possible to provide push notifications on a single framework that supports multiple formats, he said, while allowing the apps to be distributed through the Windows Store. As an example, he cited USA Today’s Windows Phone 8 app, which relies on Azure for pushing headlines to users. On the enterprise app side, Azure Active Directory can be integrating with Office 365 for single sign-on, ensuring that users can securely access their data and services. Noting the piping-hotness of the gaming market, Microsoft has spent ample time wooing game developers at Build. As an example, Nadella talked up the soon-to-be-released Halo 4 for Xbox 360 as a showcase for Azure’s flexibility. According to Nadella, Azure is the underlying architecture for the game’s multi-player functionality, capable of supporting 2 million-plus concurrent players at once. “With the flexible and on-demand architecture of Windows Azure, each Halo 4 developer had their own development environment, which allowed development and testing to run in parallel,” he added. Nadella said that Microsoft’s goal is for Windows Azure is the most complete platform to build on, such that developers can build apps using their preferred language, tool, or framework. To that end, Microsoft also announced updates to Azure including website language support for .Net framework and Python. 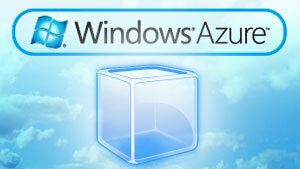 Azure also handles node.js, PHP, and Java. The newly unveiled Windows Azure Store offers users a place to find, purchase, and provision “premium services” for cloud applications. The store is currently in preview mode and open only to United States residents. App services available in the store today include ClearDB on Windows Azure, which enables developers to build apps using native MySQL databases; MongoLab, touted as a “full-featured MongoDB cloud database solution” designed to automate the operational aspects of running MongoDB; and SendGrid, a cloud-based email infrastructure in the cloud. Data services, meanwhile, include the Bing Search API, which enables developers to embed and customize search results in applications or websites using XML or JSON; and Melissa Data’s IP Check, designed to identify an Internet user’s geographical information, including country, region, city, latitude and longitude, ZIP Code, ISP, and domain name. Finally, Microsoft announced that Visual Studio Team Foundation Service, unveiled in preview mode at last year’s Build, is now available for full production use. It’s a version of Team Foundation Server hosted on Windows Azure, aimed at making it easier for developers to get started with the ALM (application lifecycle management) platform. The service targets an array of platforms, supporting not only Visual Studio, Excel, and Project, but also development for Mac OS, Linux, Solaris, and HP-UX.